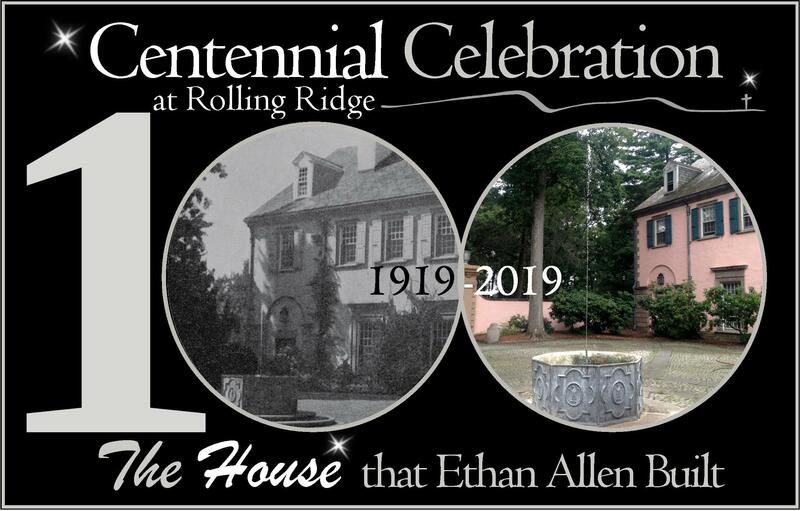 In 1919, Ethan Allen (not THAT Ethan Allen) broke ground on the house that would become Rolling Ridge. Earlier this year, the heating system reminded us of this centennial event as the 100 year-old system hissed out its need for attention. Areas of the house became an ice box, other areas a sauna. With groups complaining, heating consultants assessed the system and deemed our boiler system to still be in good shape, but in need of TLC after decades of neglect. The decision was made to tackle the heating problem head on. With all 96 steam traps changed, thermostats upgraded, valves replaced, vacuums added, and a boiler problem addressed, the heat at Rolling Ridge has dramatically improved, much to everyone's relief. The price tag: $40,000. Last year, Rolling Ridge celebrated 70 years of transforming lives as a ministry of the Methodists in New England. This year, we celebrate 100 years of the building - the house that Andrew Hepburn designed and Ethan Allen had built. As we mark this centennial, WE NEED YOUR HELP! We need your help to raise $40,000 to offset the price tag to fix the heat and an additional $10,000 to improve the system. With deferred maintenance catching up to us in this 100 year-old property, we need your help to ensure that the Ridge is here for another 100 years. Please give a centennial gift of $100 to celebrate 100 years of Rolling Ridge. During this Lenten season, consider it a "resurrection" gift, bringing new life to the heat at the Ridge. Your gift ensures that this last great estate in North Andover will continue as a spiritual home where all people are welcome, a place to warm your soul and your body, now that the heating is fixed! Thank you for your support. Yes! I want to be a Centennial Donor!